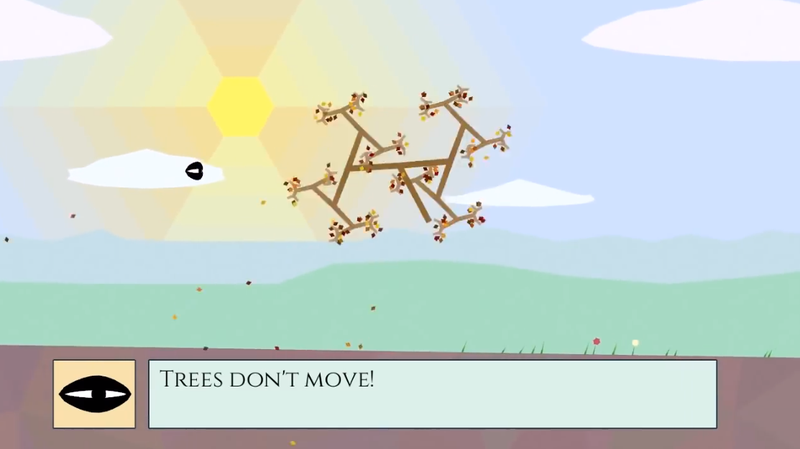 How To Be A Tree is a game about being a regular, dumb old tree. You’ve got leaves, a trunk, branches—all that jazz. It has 16 endings. And only one of them involves standing still for literally the entire game. I’ve been waiting five years for How To Be A Tree. Now it’s out on PC, and improbably, it does not disappoint. You may have guessed by now that the tree you play as—the titular tree—is not some run-of-the-mill tree. By using the W, A, S, and D keys, you’re able to make the tree take on a variety of physics-based shapes, which propel it onward and upward or allow it to shrink and fit into tight spaces. If you choose this life—and How To Be A Tree presents you with many tree lives to choose—you’ll be pursued by an all-judging (but definitely not all-seeing) eye that just wants you to stand still and act as a glorious monument to your kind. In a vaguely QWOP-like fashion, you’ve got to platform through levels to discover your true purpose. As a tree. Well, some levels. Most of them contain multiple paths, which lead to different branches in the story. (Yes, even How To Be A Tree’s story is built like a tree.) Many of these paths dabble in other genres, involving everything from water levels to dialogue trees to vaporwave feverscapes. You can also unlock totally accurate tree powers like roots and jetpack. Stories get increasingly absurd as they progress toward the zenith of their respective arcs, at which point they deliver profound philosophical truths. Or jokes about trees becoming therapists for their daddy-issue-ridden eyeball nemeses. Less like a tree and more like a shrub, How To Be A Tree is pretty short (I unlocked half of the endings in less than an hour), but it’s packed with little secrets and gags. It’s more a perfectly prepared snack than it is a meal, but I think it was well worth the five-year wait. And now I know how to be a tree. Or how to be a therapist? Both? Neither? I’m not really sure. Good game, though.